Players at the 3rd Annual Washington International were given a survey at the end of the tournament. The results were overwhelmingly positive. 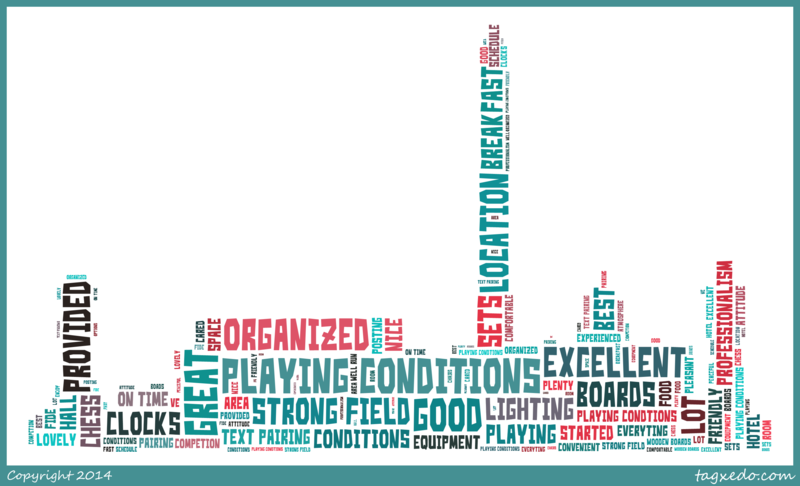 Here's a word cloud summary of the answers to question: "What do we do better than other tournaments" from the survey at the 3rd Annual Washington International. At the year's Washington International we conducted a survey of the players. We got about 50% of the players to answer the survey, which is a pretty good rate. 1. Would you prefer a hotel with lower room rates (~$10/night) that requires a shuttle to the Metro and may have less nearby food options?